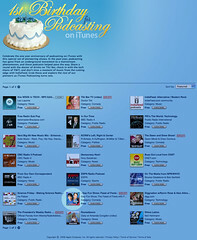 Apple celebrates iTunes' First Birthday for Podcasting! 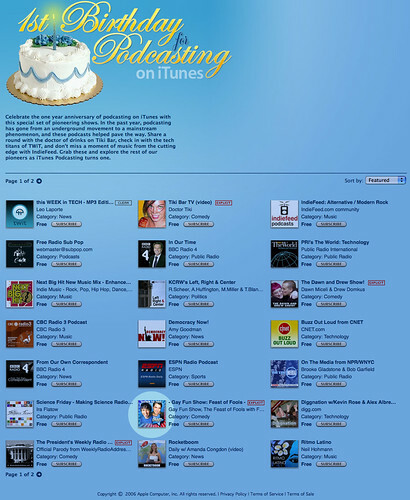 And guess who got featured in these 48 podcasts? We did! Thanks to all the listeners and guests we've had who've put us on the top of the charts, and for donating money to get your own FOF t-shirt to help pay for the bandwidth!